When Joseph Moore was put ashore, alone, he found the gate and main door to the lighthouse compound closed, the beds unmade, the clocks stopped, and no trace of the keepers. He returned to the landing stage to tell the captain of the Hesperus, Jim Harvey, the bad news. Moore then carried out a further search with two of the crew. The lamps were trimmed and refilled, the lens and machinery had been cleaned, the washing-up had been done, and there were cold ashes in the grate. But a set of oilskins belonging to Donald McArthur was found suggesting that the keeper had left the lighthouse without them, which was surprising considering the severity of the weather. Other than that, an overturned chair by the kitchen table was the only sign of anything amiss in the lighthouse. Outside, on the rest of island, the three lighthouse keepers were nowhere to be found. They had vanished. The stairway from the west landing up to the lighthouse on the north side of the island. © Peter Standing / Creative Commons Licence. The men remaining searched every corner of the island. At the West Landing for boats, the recent storms had caused considerable damage. Iron railings were twisted, part of the iron railway by the path was wrenched out of its concrete, and a rock weighing over a ton had been dislodged. 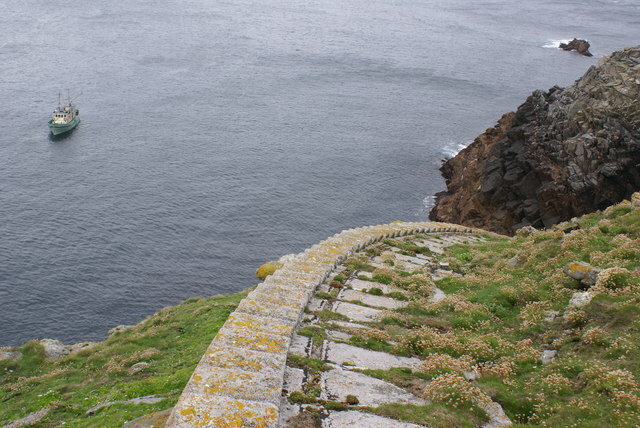 The turf on the top of the 200 foot high cliff had been ripped away from the cliff edge. However the final entry for the keeper’s log had been written up on a slate at 9am on 15 December for transferring to the logbook later on: ‘December 15. Storm ended, sea calm. God is over all’. It was clear that the damage had occurred before then. As it had been noticed on the evening of the 15 December by the Archtor that the light had not been lit, the keepers must have disappeared sometime after finishing their work in the morning and before night-fall, which at that time of year would have occurred at around 4pm. No bodies were ever found and the loneliness of the rocky islet lent itself to national speculation and excited imaginings. One of the verses in Wilfrid Wilson Gibson’s 1912 ballad, Flannan Isle, refers to an uneaten meal laid out on the table and the keepers having been suddenly disturbed. However this does not fit with Joseph Moore’s recorded observations of the scene which stated ‘The kitchen utensils were all very clean, which is a sign that it must be after dinner some time they left.’ The full poem can be read here. The press was full of implausible theories: that the ghost of St Flannan had been responsible; that a sea serpent had carried the men away; that they had been abducted by the Secret Service; or that they had met their fate through the malevolent presence of a boat filled with ghosts. From evidence which I was able to procure I was satisfied that the men had been on duty up till dinner time on Saturday the 15th of December, that they had gone down to secure a box in which the mooring ropes, landing ropes etc. were kept, and which was secured in a crevice in the rock about 110 feet above sea level, and that an extra large sea had rushed up the face of the rock, had gone above them, and coming down with immense force, had swept them completely away. He felt it necessary to add that whoever had left the lighthouse last and unattended was in breach of NLB rules. Robert Muirhead also noted the emotive quality of some of the entries in the log, such as ‘James Ducat irritable’ and ‘Donald McArthur crying’. These entries did not fit with what was known about the men. As for the final entry, Muirhead said that he knew all the men personally, and that he had never thought of any of them as particularly God-fearing. It has been suggested that the logbook entries may have been a hoax, though if this was the case, what was the motive? The deaths of James Ducat (who left a widow and four children), Donald Macarthur (who left a widow and two children), and Thomas Marshall, cast a shadow over the lighthouse service for many years. However Christopher Nicholson offers a different theory for the disappearance of the keepers in his book Rock Lighthouses of Britain: The End of an Era? The West Landing lies in Skiobageo, one of the many narrow gullies found on the coastline of Eilean Mòr. In high seas or storms, water would rush into the gully and then burst out again with considerable force. Nicholson speculates that Macarthur may have seen a series of large waves approaching the island, and knowing the likely danger to his colleagues, ran down to warn them, only to succumb himself as well. This theory explains the over-turned chair and the set of oilskins remaining indoors, although not the closed gate and door. This theory may have been derived from Walter Aldebert, a keeper on the Flannans from 1953–1957. Aldebert who had photographed many of these waves, believed that one man may have been washed into the sea, that his companion rushed back to the light for help but they were both washed away by a second giant wave. 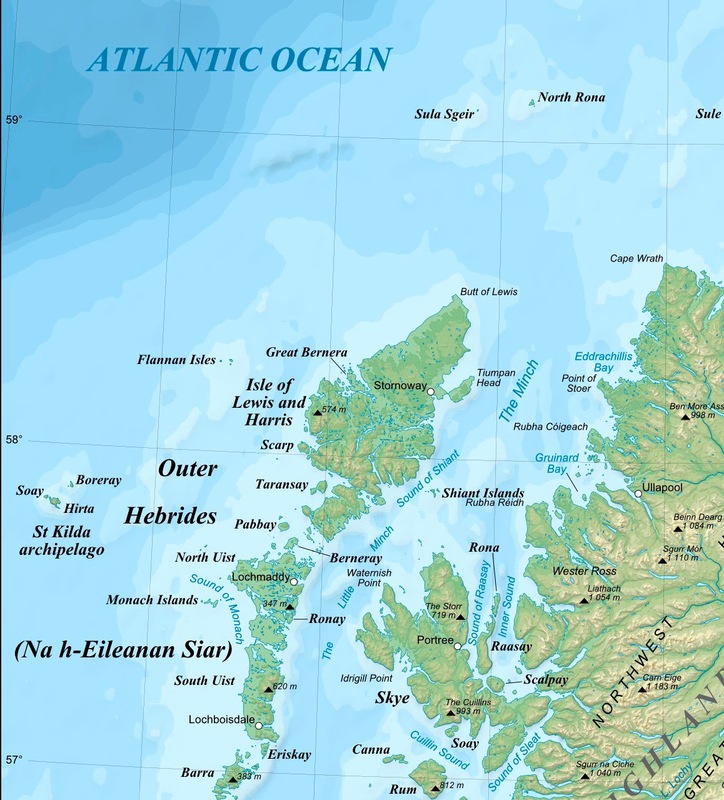 In his book The Scottish Islands, Hamish Haswell-Smith says though this is plausible, such explosive waves are in fact very rare and for there to be two so close together would be extraordinary. In Horror of Fang Rock, the Doctor and Leela seek shelter at a lighthouse where the keepers are Ben, Vince and Reuben. They find themselves prey to a Rutan whose spaceship has crashed in the sea. Ben is killed, Reuben is taken over by the alien, but the Doctor creates a laser beam from the lighthouse lamp and destroys the approaching Rutan mothership. Whilst not many people will know of the mystery of the Flannan Isles, it has inspired a number of British composers and writers. 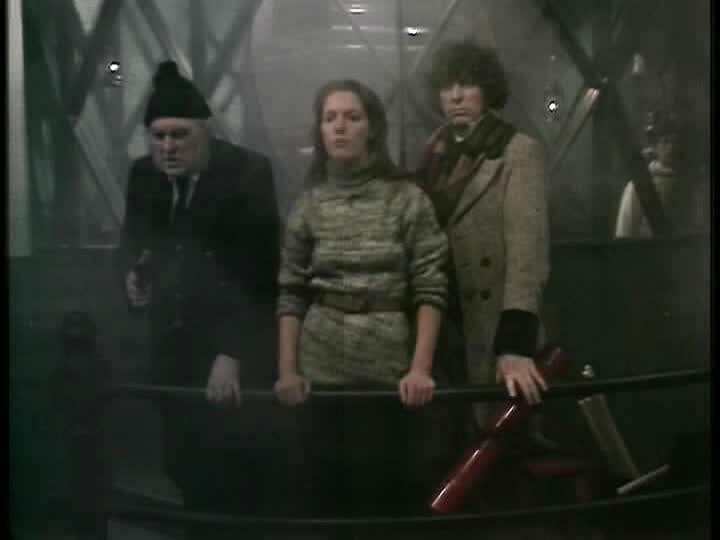 The rock group Genesis, wrote and recorded The Mystery of Flannan Isle Lighthouse in 1968 (‘they say no one has ever come back from there’) and in a Doctor Who TV serial Horror of Fang Rock broadcast in 1977 an alien attacks the keepers of a lighthouse. 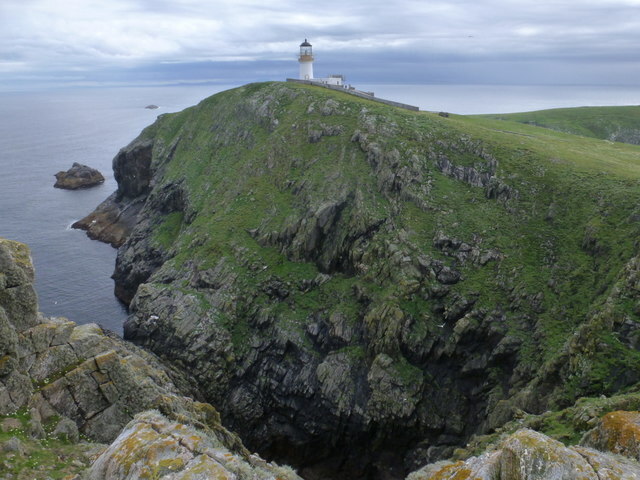 The modern chamber opera The Lighthouse composed by Peter Maxwell Davies in 1979 is based on the story (the sounds of a foghorn, the sea swell, and sea birds permeate the piece), and Angela J Elliott dramatised the story in her novel Some Strange Scent of Death after a line from Gibson’s poem. More information about the Flannan Isles, the lighthouse and the mystery is on the Northern Lighthouse Board website here.